Drakaina Cave is a small limestone cavity on the steep sloped impressive gorge of Poros, in the immediate proximity of the shoreline of southeastern Kefalonia Island in the Ionian Sea (Fig. 1-3). Fig.1. 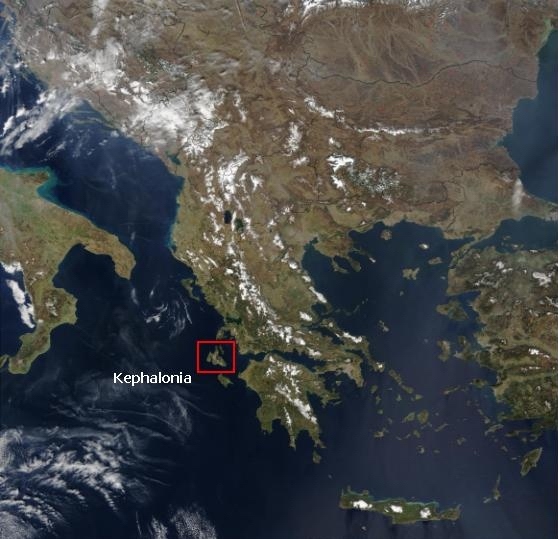 The location of Kephalonia. Fig.2. View of Poros and the gorge from SE. 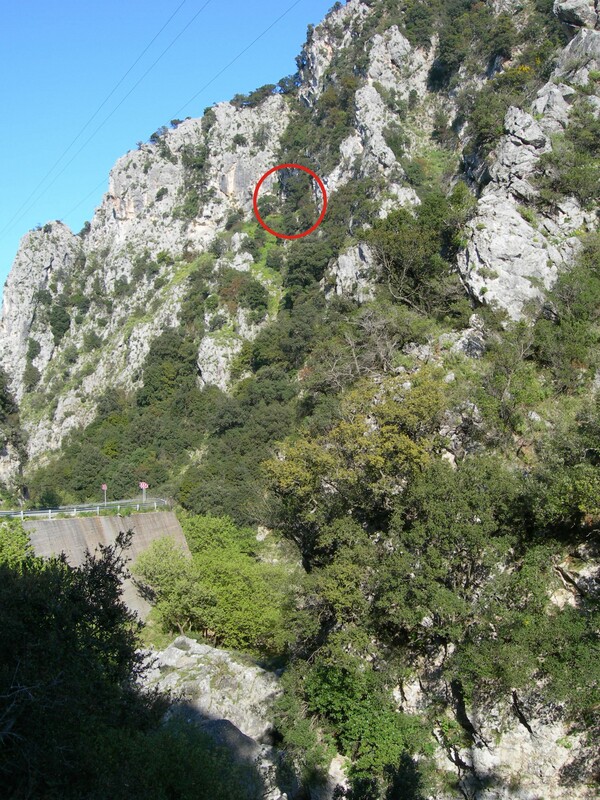 The cave has been systematically investigated since 1992 by the Ephorate of Palaeoanthropology-Speleology of Southern Greece – Hellenic Ministry of Culture & Tourism (cf. www.drakainacave.gr) under the direction of E.-M. Chatzioti (1992-2002), G. Stratouli (1992-2005) & E. Kotjabopoulou (1992-1994). Fig. 3. The Cave on the SE slope of the Gorge. Besides the use of the cave as a shrine during the historic period (end of the 7th to early 2nd century BC) (Chatzioti et al 1995; Chatzioti 2007), the excavations have revealed a substantial occupation of the site, over many generations, during the periods Late Neolithic I and II (c. mid 6th to mid 4th millennium BC) (Fig. 4). Stratigraphic evidence and the peculiar composition of the cultural material from the Neolithic deposits of Drakaina indicate that the cave was a place of significant social activity, i.e. for special gatherings at intervals and for short periods of time (Karkanas & Stratouli 2009; Stratouli 2005; Stratouli 2007; Stratouli & Melfos 2004; Stratouli & Metaxas 2008; Stratouli et al. 1999). Fig. 4. Current state of the excavation at the Western part of Drakaina Cave. Among several interesting Neolithic contexts and findings from Drakaina Cave, a rare find - at least for the Greek Neolithic - has recently been recognized. 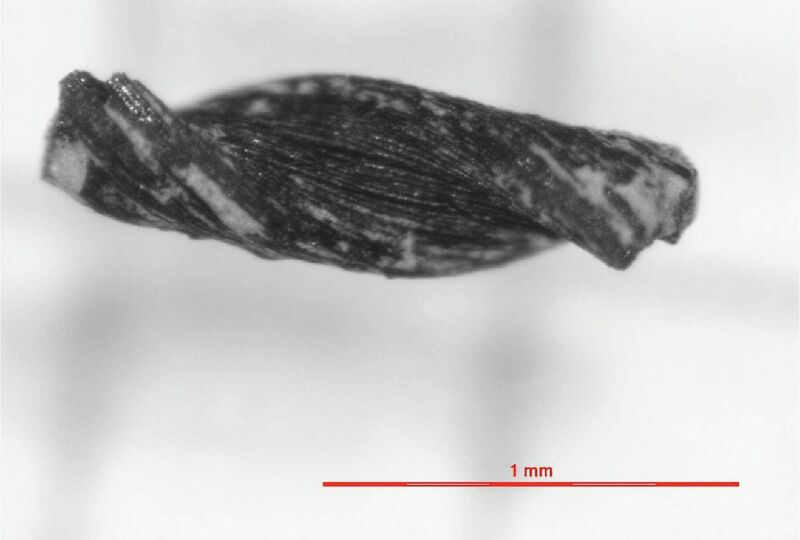 When studying, under a stereo microscope, the fine flot from a waterfloated soil sample, a charred and tiny fibre, 1 mm in length was identified (Fig. 5). The sorting of fine flot under a stereo microscope is standard routine, when an environmental study is implemented on an excavation. This sorting is done towards identifying all bio-archaeological material . This uncommon material was found in a rich archaeological unit of the eastern roofed part of the cave, particularly in the southern part of trench Δ5 (unit no. 3351), excavated in July 2004 and dated most probably to the late 6th millennium BC (radiocarbon dating is pending). Considering the nature of the deposit of this unit, it consisted mainly of ash and charcoal fragments alongside with burnt food remains, i.e. bones, seeds, as well other plant substance. There is little doubt that the unit represents, largely, the in situ remnants of a hearth. From the aforementioned unit/deposit, a soil sample (6 litres in sum) was collected for water flotation, in which the microscopic fibre was discovered. Fig. 5. The neolithic fibre from Drakaina Cave. The systematic sampling of soil for water flotation is a well-known method aiming at collecting, amongst other archaeological data, all archaeo-biological remains. After having sorted for all remains, in the fine flot (2008), the fibre under discussion was collected and isolated from all other charred material, mostly charcoal. It was tentatively identified as twisted 'thread' and submitted to the Centre for Textile Research of the University of Copenhagen for further investigations. The importance of this find is multifaceted. It not only displays the scientific developments achieved in fibre identification; it also shows the amount of care that is needed during both excavation, processing and sorting of environmental material. The fact that this tiny fibre survived water flotation, i.e. being washed with water, and was sorted under the microscope from all environmental and archaeological material, is a strong example which demonstrates that even the tiniest materials may survive, when treated and sorted with due knowledge and respect. In the 7th to 5th millennium, we have archaeological evidence of textiles made of cellulose fibres, i.e. vegetal fibres such as hemp and flax (Barber 1991, 11ff.). The reason why only vegetal fibres have come to light from early periods is explained as a result of the hairy, short and coarse nature of animal hairs in that period: However, a further factor may also be that cellulose fibres survive better in temperate climates and soil types such as exist in the Mediterranean. There is evidence for cultivation of Linum usitatissimum (flax) from the last centuries of the 7th millennium BC at Tell Ramad, located c. 20 km south west of Damascus (van Zeist & Bakker-Heeres 1975), and from Çatalhöyük (Breniquet 2008, 53-97) . Furthermore, Linum usitatissimum has been identified in a number of Early Neolithic sites in the Aegean, such as Knossos in Crete (Sarpaki 2009) as well as Otzaki Magoula and Sesklo in Thessaly (Valamoti 2009, 206: Fig. 7). The problem though still remains as to whether the flax was cultivated for seed (oil) and/or for textiles. Beyond doubt, the presence of this plant on a site does not preclude that textiles were manufactured. Clay impressions of textiles are attested from Jarmo dated ca. 7000 BC (Braidwood & Howe 1960, 46; Barber 1991, 162). Evidence for weaving around 5500 BC is also attested on an impression from Tell Shimshara located near Jarmo (analysis by Margrete Hald, in Mortensen 1970, 123-124; Mortensen, personal communication 2007). The oldest actual remains of textiles and spun threads are those from 7th millennium Nahal Hemar in present day Israel (Bar-Yosef 1985, 4) and Çatalhöyük in present day Turkey dated around 6000 BC (Burnham 1965, 170; Ryder 1965; Helbæk 1963). The thread count on the Tell Shimshara impression, for example, is app. 7 threads per cm. 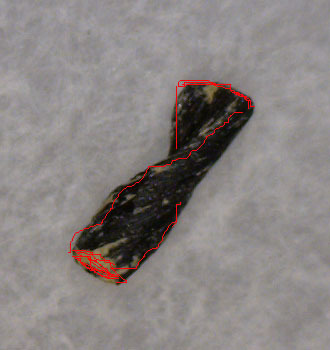 However, a new find from 2008 from an infant burial at Çatalhöyük seems to have very high thread counts as well (cf. Çatalhöyük Archive Report 2008, 146). The types of weaves attested in the 7th and 6th millennium are generally tabbies (i.e. the warp and weft are aligned in a criss-cross pattern, where each weft thread crosses those of the warp by going over one, then under the next, etc.). The fabric impressions at Jarmo are tabby or basket weaves (Adovasio 1975-77, 224; Adovasio 1983, 425). Çatalhöyük and Tell Shimshara are also plain weaves. “The Çatalhöyük fabrics, like the Jarmo impressions, already show variation even within the basic plain weave”, writes Elisabeth Barber (Barber 1991, 127). The Çatalhöyük fabrics include examples of balanced plain weaves but also of weft-faced fabrics, and a variation of types of twining techniques. Nahal Hemar fabrics are constructed with weft-twining and netting techniques. Barber concludes that Nahal Hemar is still thoroughly pre-ceramic at about 6500 BC, and does not yet know true weaving, but has a lively fibre industry that included weft-twined and nettled cloths and bags as well as mats, baskets, and caulked-twine receptacles” (Barber 1991, 132). Furthermore, the evidence recently used to identify fibre samples found in a series of Upper Paleolithic layers at Dzudzuana Cave in Georgia as 30,000-year-old flax, based only on a comparison with modern flax fibres analyzed by compound microscope and on the presence of dislocations/nodes in the fibres, is insufficient in itself to identify the fibres as flax (Bergfjord et al. 2010). This calls for the application of a wider arsenal of modern research methods. While the exiguous and single ‘thread’ find from Drakaina Cave may not strike the general public as particularly important, in archaeological terms it is truly sensational. Due to their highly fragile nature, textile finds are extremely rare, from periods as remote as the Neolithic. The find had not been treated with any chemicals during or after its excavation, but had been washed with plain water (i.e. water floated). The sample is charred and this might explain its exceptional preservation. The Centre for Textile Research in Copenhagen has extensive experience in testing archaeological textiles and forms the nucleus of a large network of scientific collaborations in state-of-the-art textile analysis and research. The blooming state of contemporary textile research are indeed daunting even to the specialist, since the novel methods employed, as well as their application and interface, comprise an array of disciplines at the cutting edge of modern research and science. Conservator Irene Skals at the Department of Conservation of the National Museum of Denmark, subjected the sample to a microscopy, which could, however, not determine conclusively whether the Drakaina sample had been spun or not. There are clearly visible parallel fibres, but the fibre bundle has a rather flat cross-section (Fig. 6), whereas one would expect a spun thread to be less flat and round in its cross-section. Fig. 6. The Drakaina find. It can be concluded that the Drakaina find is made of plant fibre, but this fibre cannot be conclusively identified. If it is possible to determine that it is a bast fibre, such as flax, nettle or hemp, its interpretation as thread becomes much more likely. This is why fibre identification is crucial. The sample could be subjected to further Scanning Electron Microcope (SEM) analysis, enabling us to determine the nature of the individual fibres more conclusively through transmitting light imaging and even among other things to measure their precise diameter. However, while feasible, these tests are unfortunately certain to cause some damage to the sample, as the vacuum-chamber wherein the test is conducted necessitates attaching the sample to adhesive material, from which it would be extremely difficult, if not impossible, to subsequently detach the sample without damage. This line of testing is consequently not pursued at the present time. A second method of testing, namely X-ray micro diffraction, enables us to identify different plant and animal species with a high degree of precision, since each individual species displays a pronounced and distinct radiation profile. 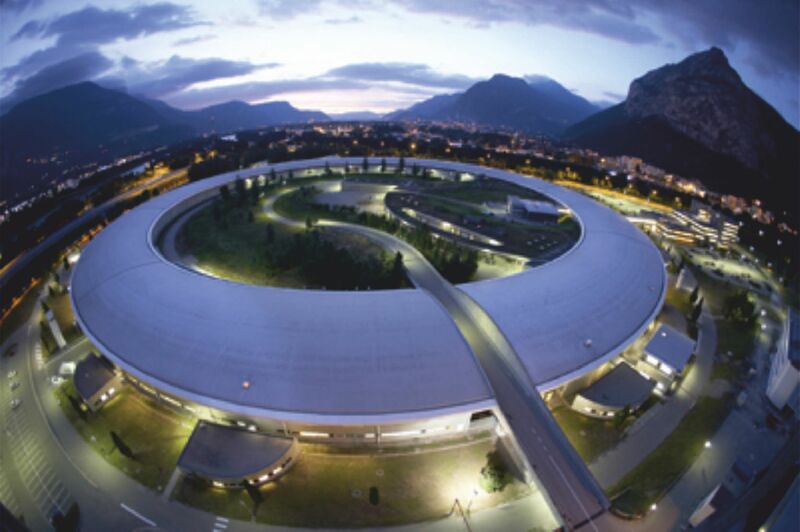 We were successful in obtaining a grant for beam-time at the European Synchrotron Radiation Facility in Grenoble (Fig. 7). X-ray radiation can record the unique diffraction patterns of various crystallographic structures, of both plant and animal origin. Fig. 7. The Synchrotron Radiation Facility in Grenoble. The Microfocus Beamline ID13 has already been successfully applied to identify different plant fibres from the so-called Cave of Letters in the Dead Sea region among which were cotton and ramie; the X-ray diffraction diagrams of archaeological fibre samples of plant and animal origin gave a clear signature; comparative material of modern plant and animal fibres were tested as well and yielded similar profiles. The radial and azimuthal intensity profiles of the diagrams showed clear correspondence between the types of crystalline structures and no significant difference between modern and ancient fibres (Müller et al. 2007). This suggests that the method is very apt for archaeological material. The Drakaina sample will be submitted for analysis at the Synchrotron Facility in Grenoble in 2011. In January 2010, experts in Physics and Nano-physics Dr. Bridget Murphy and Prof. Bodil Holst were granted access to the Synchrotron on international competitive basis with the specific aim of examining similar finds, in order to confirm the feasibility of this method for identifying ancient fibre types. Due to the success of the initial measurements, which have shown that Neolithic Greece may have had spun thread and fabrics, it is now necessary to continue this exploration in the coming years. The sample is therefore projected to undergo X-ray tests in 2011 with the aim of achieving a conclusive analysis and possibly decisive fibre identification. The excavator of Drakaina’s prehistoric layers Dr Georgia Stratouli and the archaeologist-archaeobotanist Dr Anaya Sarpaki would both like to warmly thank INSTAP for the financial assistance, which has funded during 2003-2010 the archaeological excavation and research as well as the environmental work, as implemented at Drakaina Cave. Adovasio, J. M., 1975-77. The Textile and Basketry Impressions from Jarmo, Paleorient 3, 223-230. Adovasio, J. M., 1983. Appendix: Notes on the the Textile and Basketry Impressions from Jarmo. In L. S. Braidwood et al. (eds)., Prehistoric Archaeology along the Zagros Flanks. Chicago. Barber, E., 1991. Prehistoric Textiles. Princeton University Press, Princeton. Bar-Yosef, O., 1985. A Cave in the Desert: Nahal Hemar. Jerusalem. Bergfjord, C., Karg, S., Rast-Eicher, A., Nosch, M.-L., Mannering, U., Allaby, R., Murphy, B. M. & B. Holst, 2010. Is It Really Flax? On The Identification of Bast Fibers, Science 328, no. 5986, 1634. Braidwood, R. J. & Howe, B. 1960. Prehistoric Investigations in Iraqui Kurdistan. Chicago. Breniquet, C., 2008. Essai sur le tissage en Mésopotamie. Des premières communautés sédentaires au milieu du IIIe millénaire av. J.-C. Travaux de la Maison René-Ginouvès 5, Paris : de Boccard. Burnham, H.B., 1965. Çatal Hüyük: The Textiles and Twined Fabrics, Anatolian Studies 15, 169-174. Chatzioti, Ε.-Μ., 2007. Worship of the Nymphs in Drakaina Cave at Poros, Kephalonia (in Greek with a summary in English). In Praktika tou Synedriou tou Dimou Eleiou-Pronnon gia ta Grammata, tin Istoria kai ti Laografia tis periochis Pronnon, Poros, 8-11 September 2005, 363-378. Thessaloniki: University Studio Press. Chatzioti, Ε.-Μ., Stratouli, G. & Ε. Kotjabopoulou, 1995. The Drakaina cave. Recent investigations at Poros on Kefalonia (1992-1993) (in Greek with a summary in English), Athens Annals of Archaeology 22, 1989 (1995), 31-60. Helbæk, H. 1963. Textiles from Çatal Hüyük, Archaeology 16 (1), 39-46. Karkanas, P. & G. Stratouli, 2009. Neolithic lime plastered floors in Drakaina Cave, Kephalonia Island, Western Greece: Evidence of the significance of the site, The Annual of the British School at Athens 103, 27-41. Mellaart, J., 1967. Çatal Hüyük: A Neolithic Town in Anatolia. London: Thames & Hudson. Mortensen, P., 1970. Tell Shimshara. The Hassuna period. Copenhagen: Munksgaard. (Det Kongelige Danske Videnskabernes Selskab - Hist.-Filos. Skrifter, 5/2). Müller, M., Murphy, B., Burghammer, M., Riekel, C., Pantos, E. & J. Gunneweg, 2007. Ageing of native cellulose fibres under archaeological conditions: Textiles from the Dead Sea region studied using synchrotron X-ray microdiffraction” Applied Physics A 89.4, 877-881. Ryder, M. L., 1965. Report of textiles from Çatal Hüyük, Anatolian Studies 15, 175-176. Sarpaki, A., 2009. Knossos, Crete: invaders, “sea-goers”, or previously “invisible”, the Neolithic plant economy appears fully-fledged in 9000 BP. In A. Fairburn & E. Weiss (eds. ), From Foragers to Farmers, 220-234. Oxford: Oxbow Books. Stratouli, G., 2005. Symbolic behaviour at places of social activity beyond the Ionian Neolithic, Documenta Praehistorica 32, 123-132. Stratouli, G., 2007. Tracing the Ionian Neolithic: The contribution of recent exca­vations in Drakaina Cave, Poros, Kephalonia (in Greek with a summary in English). 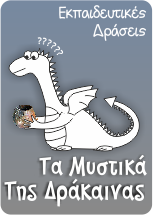 In G. Arvanitou-Metallinou (ed. ), Prehistoric Corfu and its adjacent areas. Problems – Perspectives, Proceedings of the Meeting in Honour of Augustos Sordinas, Corfu 17 December 2004, 105-126. Corfu: Hellenic Ministry of Culture. Stratouli, G. & V. Melfos, 2008. Exchange Networks in the Neolithic of Greece: Gabbro and Talc Objects from Drakaina Cave, Kephalonia Island, Western Greece. In Y. Facorellis, N. Zacharias & K. Polikreti (eds. ), Proceedings of the 4th Symposium of the Hellenic Society for Archaeometry, National Hellenic Research Foundation, Athens, 28-31 May 2003, BAR International Series 1746, 381-387. Oxford: Archaeopress. Stratouli, G. & O. Metaxas, 2008. Projectile Tips from Neolithic Layers of Drakaina Cave on Kephalonia, Ionian Islands, W. Greece: Technological ‘Conservatism’ and Social Identity, Palethnologie 1, 309-327. Stratouli, G., Facorellis, Y. & Y. Maniatis, 1999. Towards understanding the Late Neolithic and the Chalcolithic in the Ionian Islands, Western Greece: 14C Evidence from the “Cave of Drakaina”, Poros, Cephalonia. In J. Evin, Chr. Oberlin, J.P. Daugas & J. F. Salles (eds. ), Actes du théme Congrés International, Lyon 6-20 Avril 1998, 14C et Archéologie, Memoires de a société Préhistorique Française 26, 1999 et Supplément 1999 de la Revue d’Archéométrie, 273-278. Valamoti, S.-M., 2009. H arxaiovotaniki erevna tis diatrofis stin proistoriki Ellada (in Greek). Thessaloniki: University Studio Press. van Zeist, W. & J. A. H. Bakker-Heeres, 1975. Evidence for linseed cultivation before 6000 BC, Journal of Archaeological Science 2, 215-219. Andersson, E., Frei, K., Gleba, M., Mannering, U., Nosch, M.-L. & I. Skals, 2010. Old textiles - new possibilities, European Journal of Archaeology 13, 149-173. Andersson, E. & M.-L. Nosch (eds. ), 2009. Tools, Textiles, and Contexts. Oxford: Oxbow Books. Bar-Yosef, O., Goring-Morris, A. N. & A. Gopher (eds. ), (in press). Gilgal: Excavations at Early Neolithic Sites in the Lower Jordan Valley. The Excavations of Tamar Noy. Boston, Leiden: Brill. Bergfjord, C. & B. Holst, (in press). A New Method for Identifying Textile Bast Fibres Using Microscopy, Ultramicroscopy. Gillis, C. & Nosch, M.-L. (eds. ), 2007. First Aid for the Excavation of Archaeological Textiles. Oxford. Oxbow. Müller, M., Papiz, M.Z., Clarke, D.T., Roberts, M.A., Murphy, B.M., Burghammer, M., Riekel, C., Pantos, E. & J. Gunneweg, 2003. Identification of the textiles from Khirbet Qumran using microscopy and synchrotron radiation x-ray fibre diffraction. In J.-B. Humbert & J. Gunneweg (eds. ), Archaeological Excavations at Khirbet Qumran and Ain Feshka - Studies in Archaeometry and Anthropology, vol. II, ch. XII, 177-186. Fribourg: Presses Universitaires de Fribourg (Suisse). Nadel, D., Danin, A., Werker, E., Schick, T., Kislev, M. E. & K. Stewart, 1994. 19,000 years-old twisted fibres from Ohalo II, Current Anthropology 35, 451-458.
von der Osten, H. H., 1937. The Alishar Hüyük. Seasons of 1930-32, parts 1-3. Chicago: Oriental Institute Publications. Ryder, M. L & T. Gabra-Sanders. 1985. The Application of Microscopy to Textile History, Textile History 16(2), 123-140. Ryder, M. L & T. Gabra-Sanders, 1987. A Microscopic Study of Remains of Textile made form Plant Fibres, Oxford Journal of Archaeology 6(1), 91-108. Schick, T., 1988. Nahal Hemar Cave: Cordage, basketry and fabrics. In O. Bar-Yosef & D. Alon (eds. ), Nahal Hemar Cave, Atiqot 18, 31-43. Jerusalem: Israel Department of Antiquities and Museums. Schick, T., & I. Shaked, 1998. The cave of the warrior: a Fourth millennium burial in the Judean desert. Vol. 5. Jerusalem: Israel Antiquities Authority Reports 5. Vogelsang-Eastwood, G. M., 1987. A Re-Examination of the Fibres from the Çatalhöyük Textiles’, Oriental Carpet and Textile Studies London 3(1), 15-19. Walton, P. & G. Eastwood, 1988. A Brief Guide to the Cataloguing of Archaeological Textiles. London: Institute of Archaeology Publications. Unfortunately, water flotation is not, yet, a common practice in archaeology. Moreover, even where it is applied, the archaeologist, who coordinates this operation, does not usually request that all the material is sorted, but focuses on sorting only the material pertinent to their immediate study, i.e. seeds, bones, charcoal; the rest of the pile is left unsorted for the next researcher. This is, according to our view, a very ineffective practice for several reasons. Firstly, it is done to promote one’s own research and neglects the whole body of other environmental data. Secondly, every time the material is sorted by another researcher, part of it, which does not promote his/her own research, might be neglected. Thirdly, the time involved in sorting, in the long run, is multiplied enormously, as each individual must go through the same material to sort for different classes of data. Fourthly, it is important that the person, who sorts, treats all available material with the same attention, independently of his/her specialism. This might sound like a truism, but this method has unfortunately yet to become common practice in archaeology.